Brussels is set to pass a new ordinance that will allow short-terms rentals of retail spaces. That will make it easier to open a pop-up shop or bar in currently empty spaces. Parliament today approved a preliminary draft of the new ordinance, drawn up by economy minister Didier Gosuin. 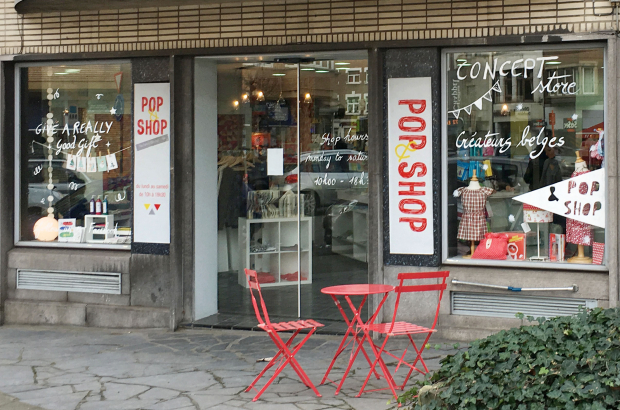 Pop-up shops are becoming more and more popular as a way to gauge whether a new business will be viable or as a seasonal outlet, such as summer bars. But the ordinance that governs rental space isn’t sufficiently geared towards them, says Gosuin. In order to make sure both owner and renter are legally protected, Gosuin has drafted an ordinance that allows short-term rentals of retail space. According to the ordinance, the contract cannot be for longer than one year. It is hoped that the new ordinance will not only make things easier for both new entrepreneurs and property owners but also cut down on the number of empty shops in Brussels. Gosuin says that he hopes the ordinance can be implemented in the first quarter of 2019.